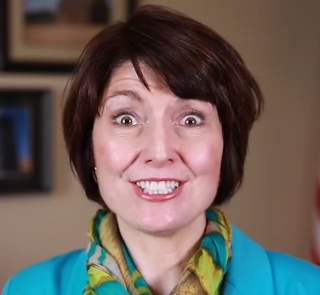 Cathy McMorris Rodgers voted to defund Planned Parenthood today. Here's her statement. “The undercover videos featuring senior level officials admitting to unethical and potentially illegal procedures should be of great concern to everyone. Anyone watching these videos can surely say—the American people deserve answers. “What kind of country are we if we think the actions revealed in these videos are acceptable? We must work towards better protections for women, children, and families. In addition to the vital legislation passed today, we have three powerful committees investigating the abortion practices described. Our work is just beginning. “America is the place where everyone is empowered to achieve a better life. And that begins with safety and security for everyone. Of course, those who would commit violent acts against Planned Parenthood are also clearly in the wrong. First of all, the videos have been proven to have been selectively edited. So there's that. If I could record me and our congresswoman having a long conversation about abortion, I could use the same selective editing process to make it not only appear that she's all for abortion, but was talked out of aborting her first child by her husband. Now that would be a dastardly thing to do, wouldn't it? And she would be very upset at being portrayed so unfairly. Kind of like Planned Parenthood is now. What Cathy McMorris Rodgers characterizes as "unethical and potentially illegal" is legal under federal law. If it's potentially or truly illegal, where's the investigation and charges by the US Department of Justice? The investigations being conducted by "three powerful committees" do not include having representatives of Planned Parenthood testify and they're the ones our congresswoman say we needs answers from. “Women’s health care should be available from providers who do not practice these horrendous acts." So where is a woman to get an abortion if she needs one? Here's the question I'd like to hear our congresswoman answer. If abortion were to become illegal, what is the appropriate punishment for a criminal who solicits and receives an illegal abortion? The death penalty? Life in prison? Twenty-five years in prison? What is the price a criminal should pay for having an illegal abortion? You need to watch this and if you still are concerned about "where will women go for there abortions" then truly there is no hope.